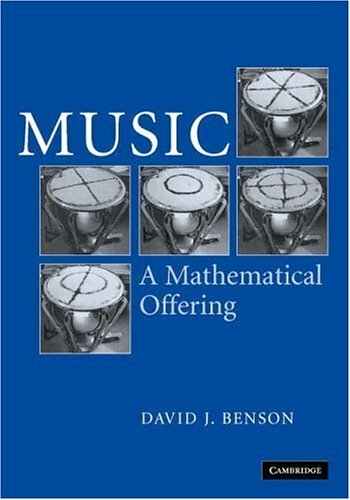 Benson provides a wealth of information here to enable the teacher, the student, or the interested amateur to understand, at varying levels of technicality, the real interplay between these two ancient disciplines. The story is long as well as broad and involves physics, biology, psycho acoustics, the history of science, and digital technology as well as, of course, mathematics and music. Starting with the structure of the human ear and its relationship with Fourier analysis, the story proceeds via the mathematics of musical instruments to the ideas of consonance and dissonance, and then to scales and temperaments. This is an introductory book on sound processing. By reading this book, you may expect to acquire some knowledge on the mathematical, algorithmic, and computational tools important in order to become proficient sound designer or manipulator. The authors are striving to develop principles that may open the way to get appropriate informative sounds out of future artifacts. They present novel research in perception, physics, numeral analysis, computer science, and human-machine interaction.